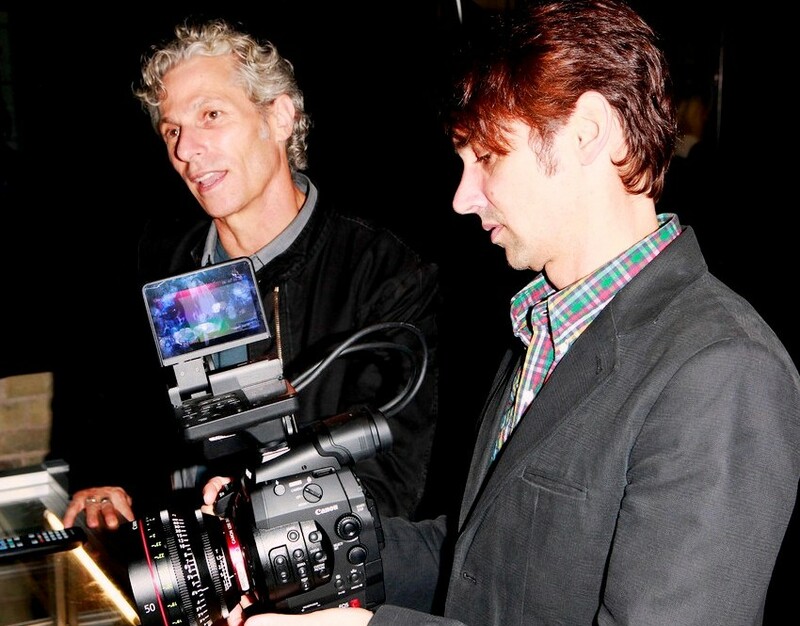 It’s taken a number of years to recognize Scott McGehee and David Siegel as top-rank filmmakers. What Maisie Knew is their new emotional heart-wrencher, but it also reveals them as courageous filmmakers by keeping the entire film in the point-of-view of 6-year old Maisie (Onata Aprile). Julianne Moore and Steve Coogan are uncompromising as the rich, dueling parents who file for divorce in the early scenes. Both of them – so fascinatingly bitchy! – want to win Maisie not because of love for kindred but because of selfish ownership rights. You get wrapped up by the film because you’re on the little girl’s side. 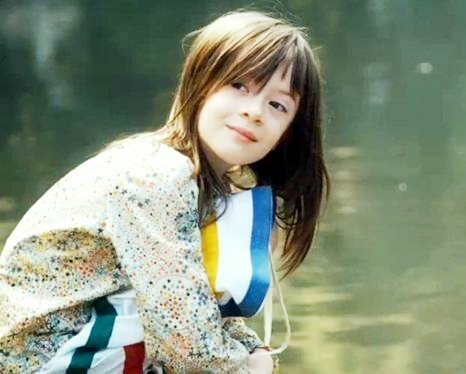 The little actress Onata Aprile, is amazingly expressive. Is “Maisie” an escape thriller? I’d like to use that hyperbole description. Yes, I think it is, because you’re dying to see Maisie escape from her obnoxious parents and abandon the perdition situation. Attractive actors Alexander Skarsgaard and Joanna Vanderham are fortunately there as Maisie’s sympathetic nannies. McGehee (above pic, on right) and Siegel (on left) of “The Deep End” and “Bee Season,” came to Los Angeles to talk to a select room of journalists about “What Maisie Knew,” their fifth theatrical film together. Aprile was also present but shyly listened for the most part. The interview strictly concentrates on the filmmakers’ thoughts on their film. How did you find Onata Aprile? Scott: We worked with casting director Avy Kaufman in New York. Avy saw hundreds and hundreds of girls. Narrowing it down for us, Avy showed us maybe one hundred. David: We searched like mad cattle. Scott: David and I on our own were visiting elementary schools where our friends were teachers. We were really concerned about finding the right girl. David: Which wasn’t so nice. Two middle-aged guys prowling around playgrounds! Scott: We hadn’t found the right girl until three weeks before we were to start shooting. Onata was there all along. She’s a student at PS3 in New York. She didn’t bother to come in to audition for quite some time. Once we saw her, we let out a sigh of relief. Why did you choose to shoot this film through Maisie’s point of view? David: What drew Scott and I in was the challenge and excitement to tell a story through a child’s perspective. You don’t get those opportunities too often. There are a couple notable examples, maybe the most famous is “The 400 Blows,” the Truffaut film. As much as we did in terms of where the camera was, we played with the formal aspects of filmmaking: what she catches and senses out-of-frame, what she hears, what she doesn’t hear. It really works because of Onata’s ability to communicate in close-up a thought, or a feeling without speaking dialogue. How do you see the production design, cinematography and music playing a significant part in the movie? David: We’ve been using Kelly McGehee, Scott’s sister, for all our films. Our cinematographer, Giles Nuttgens, three films now. Our costumer, Stacey Battat, has been with us two films. The idea was to maintain the spirit of this unusual child. The quality of light. The costuming. The world Kelly would be creating with props as well as room design. That was our touchstone: Maisie, Maisie, Maisie. To capture the experience of the child. Scott: We were very concerned we didn’t want it to be a heavy, weighted-down maudlin story about a family in crisis. The sadness of divorce. Keeping the innocence of Maisie’s point of view was a way for us to keep the atmosphere from becoming crushing. In terms of light and color, the locations – all that chosen carefully. The music score by Nick Urata is one we’re really happy with. It’s a musical home, and the score has an understanding that Maisie will grow up with a rock vocabulary, but in a more childlike way. How did you find the Henry James source material, and why did you figure you could adapt it to modern times? Scott: We didn’t actually read the book until after we read the screenplay. The screenplay was adapted by Nancy Doyne and Carroll Cartwright, and they worked on it 18 years ago. We didn’t read it until two or three years ago. We hadn’t been familiar with the book. Our entry into Henry James, ‘Oh, this is the source material for the screenplay which we already read and liked.’ To go back and encounter the original novel written over a hundred years ago with many of the same character relationships and stakes for the girls, it was a surprise to us, how much of it was translated over really successfully. And what attracted you to the script? David: Going back to what we said: The idea of telling a story through a child’s perspective. Second, it was an emotionally relevant story. And that’s always something we crucially look for. Then we found the book and saw the relevancy was there. We read anecdotally that James’ inspiration for writing the book came from hearing of a case where custody was going to be shared by the parents in a divorce situation. And James had never heard of such a thing! This was in 1890 or something. He thought it was absurd! Ridiculous! Deleterious to the child’s well-being! The book is more darkly satiric in a way than the movie is. In 2013, it’s the most common thing in the world to share custody. But the relevancy of the push-and-pull on the child is still pretty heightened. Did you ever consider writing another end scene to give us a more clear reassurance of hope? David: For the first time. Scott: Now we’re leaving her while she’s on her way. That felt right. We didn’t want to see her arrive somewhere, we didn’t to make it nicer than it deserved to be, or darker than it deserved to be. Just seeing her move forward and we hope the best for her. Can you talk about the presence and non-presence of the parents in Maisie’s life? David: We’re looking at these vignettes, these scenes… and people come and go in Maisie’s life. We like that idea that people come and go in her life, we don’t see where they are actually going or where they’ve come from, or tell us when they are going to be back, or when they’re going to leave again. The adult casting is compelling here. Steve Coogan gets to let it rip in a dramatic role. How did you get those people in your movie? Scott: Yes, human is a better word. And we really thought again, to keep the movie from going into a hole of sadness, there’s something funny about Coogan that would be a helpful note to add to the stew. And yet you had producers that were reluctant to the idea? Scott: Well, Coogan wasn’t top of their list. Their job was to finance the picture. And there were other English actors who helped them do their job easier than Steve Coogan. And Julianne Moore is a convincing musician. David: Julianne had read the script shortly before we did, and had expressed interest. Our first job was to make sure we were all on-board with doing this together. And we were really excited about her. 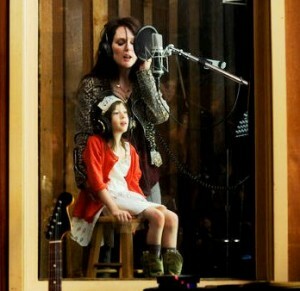 But she was hesitant about the singing stuff at first, un-confident. We gave her confidence by letting the music crew coach her. Scott: It’s a very strong current in our business. What’s the key to getting personal, character-driven, auteurish films made out there? Scott: It’s hard. I don’t want to complain about it. This is a movie with three notable actors in it and a very small budget, and it wasn’t easy to finance. David: But casting is always the key to it. We came to this project with Julianne Moore already interested. She read the script. An actress who we like has already read the script and is interested. Scott: We haven’t made many more movies than we’ve made because there are many projects we spent many years on that got close but wound up not happening. What was the most rewarding aspect of making this particular film? David: I hope this doesn’t sound too easy. But I think it was working with Onata. With every film there’s something that comes to the floor as the really memorable, lovely experience. We’ve made a film before with Tilda Swinton called “The Deep End” and had a lovely experience with her and got to shoot in Lake Tahoe, a rewarding physical location. But with “Maisie,” what a wonderful creative experience coming to set daily and working with Onata. You take a risk at the end of the film. But there’s going to be some over-literal people in the audience wondering how they all ended up at this rich beachfront home that doesn’t seem to exactly belong to them. It doesn’t bother me. But what is your answer for people out there that want to know how those characters got there? David: There’s a voice-over dialogue, I can’t remember the exact line, Joanna says something about her cousin’s house being for sale. When they are walking back from their first fun day at the beach, Maisie asks her what if they sell it where would we go? And she says, ‘Well, they’re having trouble selling it.” That was the exposition we put in, but it’s pretty light. It is easy to miss. They’re all rich people. Alexander Saarsgaard and Joanna Vanderham, they’re a bartender and a nanny, but they could be from rich families, too. People have stories. David: Right, people have stories.